Have a movie you’ve been meaning to see? 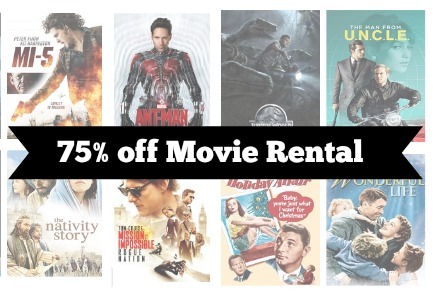 Now through January 4th you can get 75% off any Amazon Movie Rental! Use code MOVIE75OFF to get the discount. Click “More Purchase Options” under the rental prices, followed by “Redeem a gift card or promotion code”. Once the code has been entered, exit the pop-up window and click the “Rent Movie HD” or “Rent Movie SD” option. While onsite pricing will not reflect your discount, your order history and purchase confirmation email will show the total discount applied to your order.